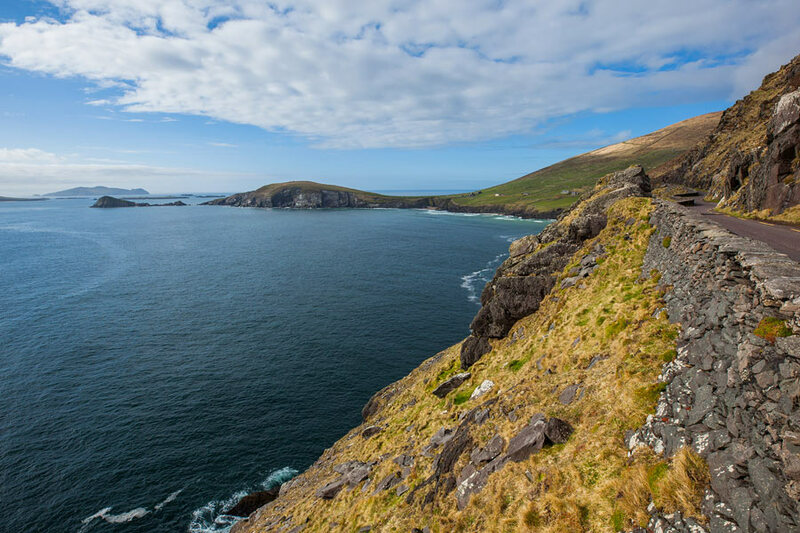 Leaving Dingle town, you will be following the road west to Ventry which hosts the famous Páidí Ó Sé’s Pub (unfortunately it might be a little too early to stop off here). 12km into the cycle Slea Head shows its beauty on the most western point in Ireland. There are no major climbs on this route but rolling ups and down will keep the legs pumping. On a windy day it can be quiet challenging on the exposed coast line. Other land marks to note include Coumeenoole Beach made famous in the film Ryan’s Daughter. 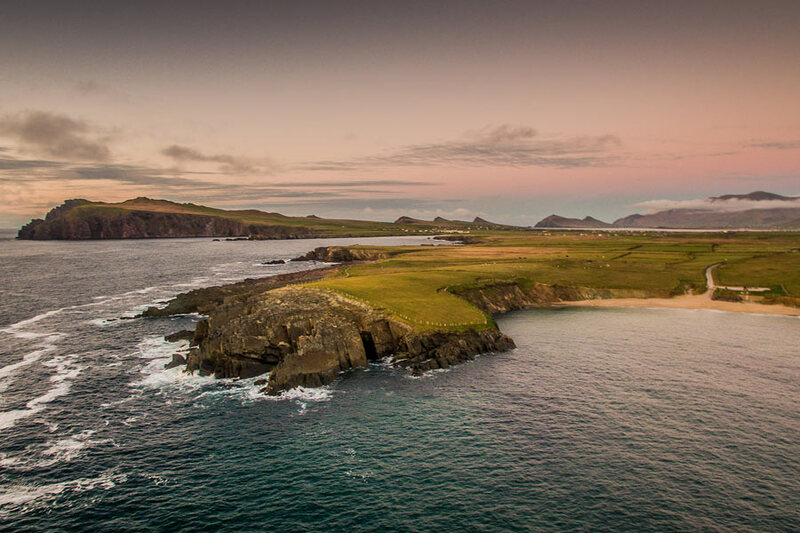 And of course, Dingle Peninsula was the set of Star Wars Star Wars Episode VIII and the location of the old Jedi temple where Luke begins Rey’s training in the ways of the force. 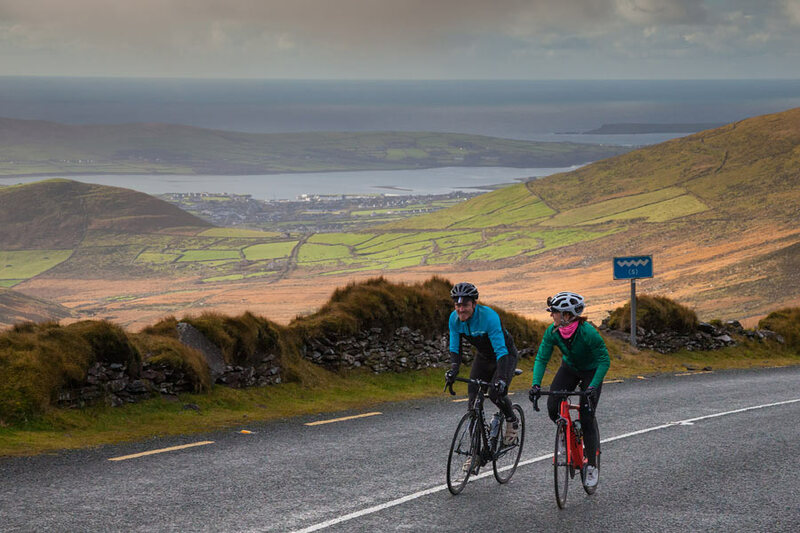 The food-stop in in the picturesque village of Ballyferriter will refuel you for a short hill on the way back to Dingle and the very enjoyable 6km ride downhill to the finish. Your medal will await you as will the after-party to celebrate your achievements. 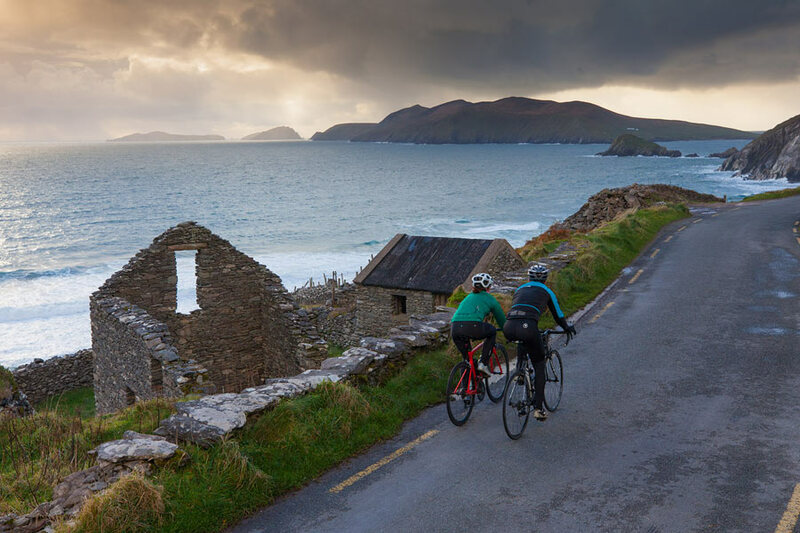 Your first 55kms will mirror the Slea Head route as above. 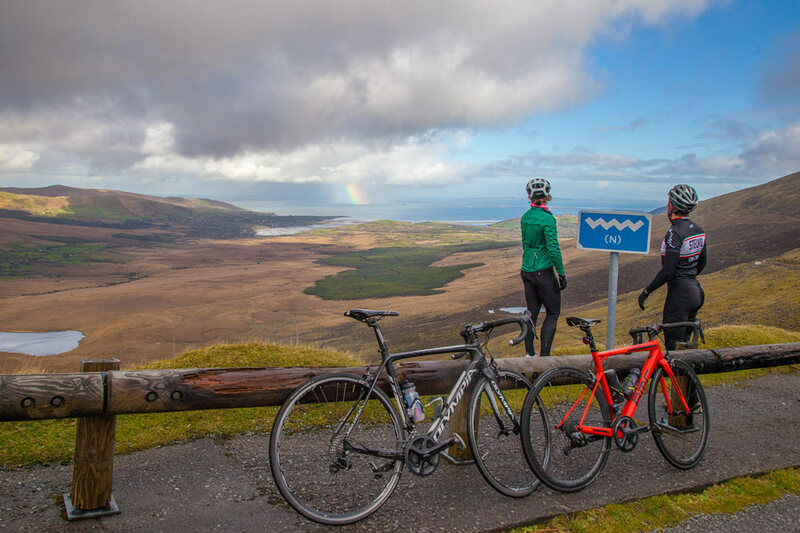 Then the challenge really starts straight after you leave Dingle Town and you hit the Conor Pass (and Ireland’s highest mountain pass), one of the most famous and difficult climbs in Ireland. The 5km climb will leave the legs crying out and the heart rate pumping but its all worth it with the fantastic, technical decent into Cloghane. Amazing views of Brandon Bay are a welcome sight when you reach the top. From here you are hugging the coast line along Brandon Bay and on to the food stop at Camp. From Camp there is a good climb before the decent into Annascaul, the birth place of famous polar explorer Tom Crean. A great road surface on the new road into Lispole will be a welcome break. 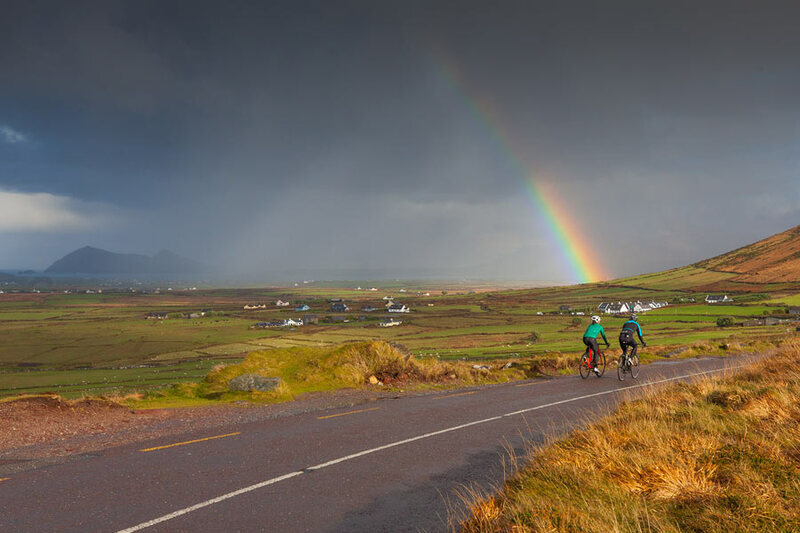 Its then a handy rolling 10km to the finish line in Dingle town to enjoy a well-earned rest and celebration in atmospheric Dingle.